This is a view of Crown Point and the historic Vista House. 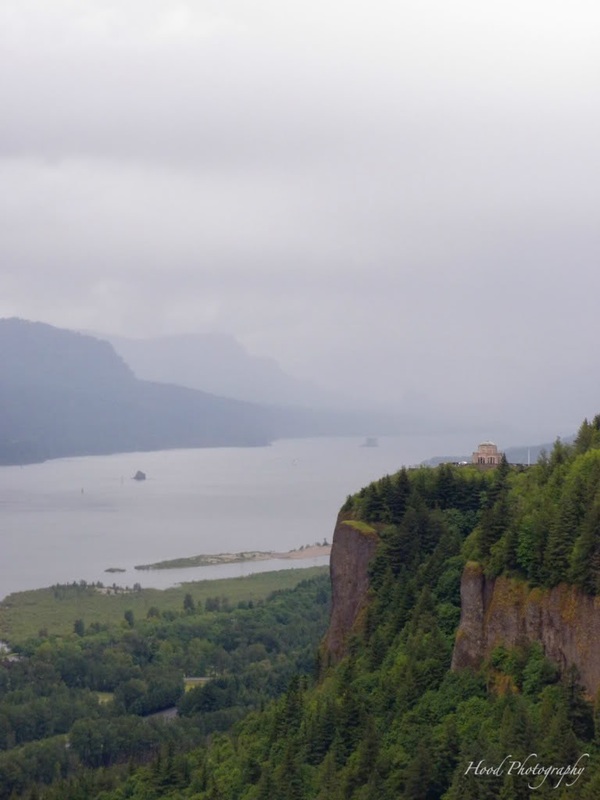 Behind it, a rain-filled Columbia River Gorge. Wow...this is a beautiful picture. I'm from Switzerland...I'm always amazed at out beautiful the USA is and how many different mountains it has. Killer shot!!! I actually know where you shot this from. I almost stopped to see Vista House but was more eager to get to the Saturday Market in Portland. Don't know how you got this, but it's breathtaking! Would love you to come link up! Alicia - I am not able to access your blog... if you send me the link I would be happy to check it out! wow that is a beautiful pic and i would love to visit. Gorgeous! in all ways! I have only seen the river in middle Washington when my sister lived in Moses Lake. Wow, what a gorgeous scene. Love the cliff and the view of the river. Its beautiful! Love the view here.